“Learn it, sim it, fly it”: we’ve endorsed this approach to flight training for years now. By learning and practicing training events in a flight simulator before performing them in an airplane, student pilots are able to progress more quickly through their training, and without the unnecessary costs, distractions, and inefficiencies involved in aircraft-based learning. Plus, given the low operating costs of flight simulators, this approach to training actually increases net profit for flight training organizations. 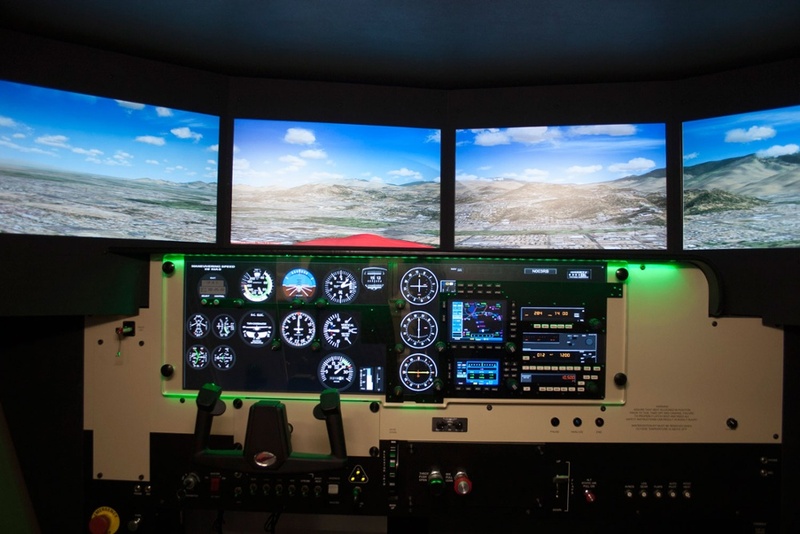 From procedure, maneuver, emergency, and decision-making training to checklist and avionics familiarization, frequent and broad simulator usage benefit both the student and the flight school. However, there are a few asterisks. No matter their degree of fidelity, flight simulators are not airplanes. Therefore, a few of the more 'sensation-centric' lessons for private pilots can be difficult to train in the simulator. Especially for new student pilots, here are three training scenarios which might be more effectively introduced in the aircraft. Simulators are a fantastic tool for teaching the procedure to land. Traffic patterns, downwind, base, final, flap position, airspeed management, and all the power settings are great lessons to cover in the sim. However, the flare is a different story. While simulators can demonstrate a flare, the pilot ultimately won’t feel the same “seat-of-your-pants” feedback that he or she would experience in the airplane. After drilling the procedure to land in the simulator, exposing the student to landing flares in the airplane might be a more effective use of training time. Similarly, while the simulator is well-suited to teach stall procedures—how to enter, exit, and stay safe in a spin—it can struggle to demonstrate the buffet that you feel in the controls when you approach a stall. In the airplane, you can feel a stall arising by the way the airframe behaves, which is an important lesson to teach in private pilot training. You don’t need the instruments to tell you that you’re about to stall; you can feel it in the controls. Since, again, you won’t experience the same seat-of-your-pants sensation in a simulator, the airplane might be a more effective classroom for stall buffet detection. Generally, flight simulators don’t taxi very well. On the ground, the simulator behaves more like a Zamboni: it skates on ice. Due to the manner in which most controls are wired in the simulation engine, you don’t really have nose wheel steering when you taxi in a simulator and you can end up skidding and sliding on the runway. All that being said, many of our customers have had success in introducing and practicing all three of these training events in their simulators. If you have a specific goal for the training, and you understand the limitations of simulation, then it is possible to use the simulator for these tasks without much or any negative transfer to the aircraft. Still, especially with brand new students, take care to keep the more 'feeling-based' lessons as realistic as possible. A simulator is a fantastic tool for developing muscle memory, which generally is a great thing. However, you don't want new student pilots to become too accustomed to the lite versions of flares or buffets, or the real, aircraft versions will be surprising if not overwhelming. For more tips about implementing simulation into your flight training, check out our webinar, Best Practices for Teaching in a Redbird.